Project administrators can restrict printing, copying from or modifications to PDFs generated using custom report templates. Security settings can be set specifically for each custom report template. Click “Security Settings” at the top of the page. 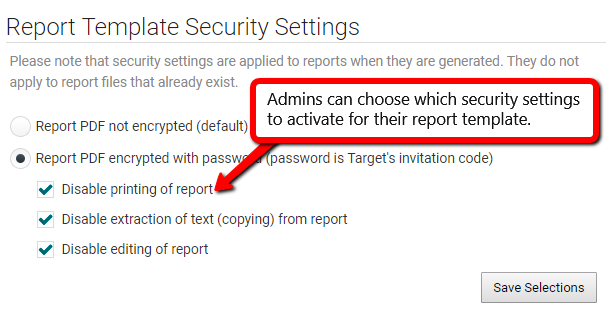 Select the security settings you wish to activate for your report template.